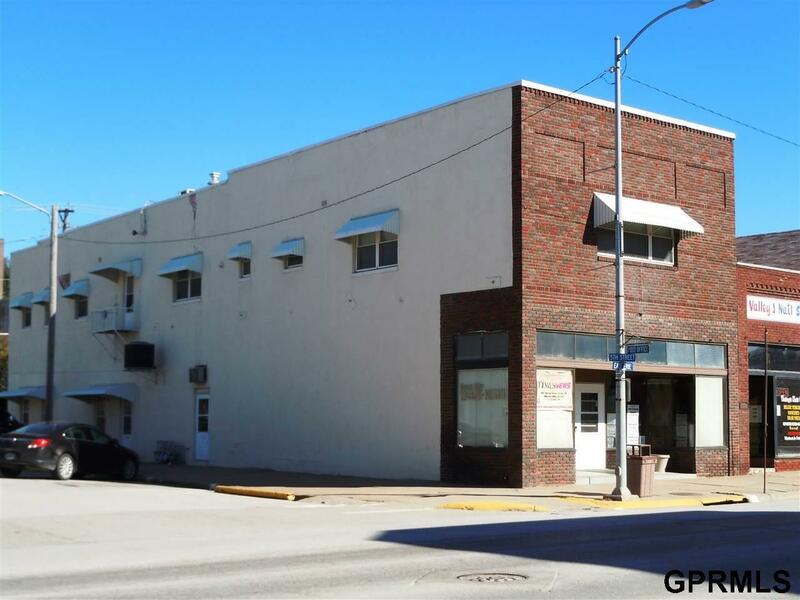 Commercial building located downtown Missouri Valley, Main level is split with two office areas. Front side currently leased, back office is vacant. Upstairs there are two apartments, each are 2 bedroom, 1 bath apartments. Both apartments are vacant at the present time. There is an elevator that goes to the apartments. A 20'x22' concrete block garage goes with the property.. Great rental income potential.